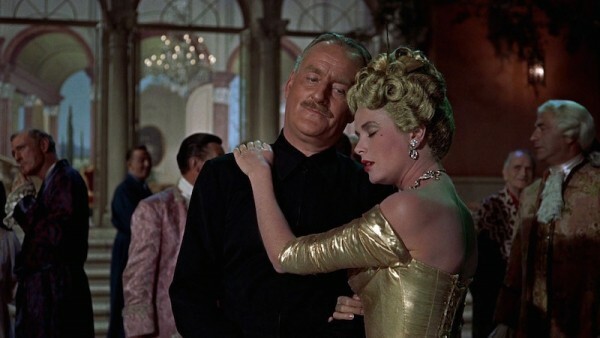 To Catch a Thief (1955) is a great movie for a lot of reasons — Alfred Hitchcock directs! 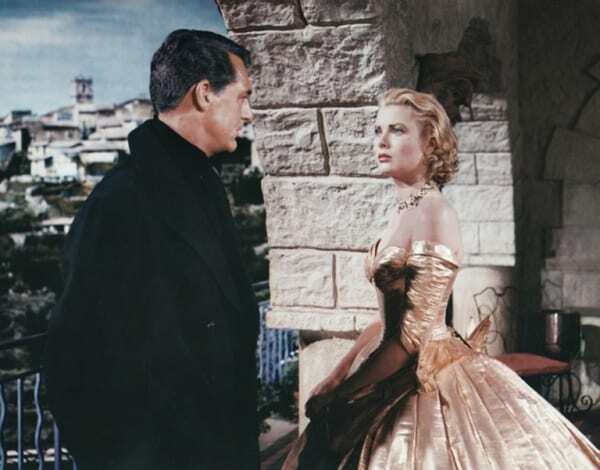 Cary Grant and Grace Kelly star! 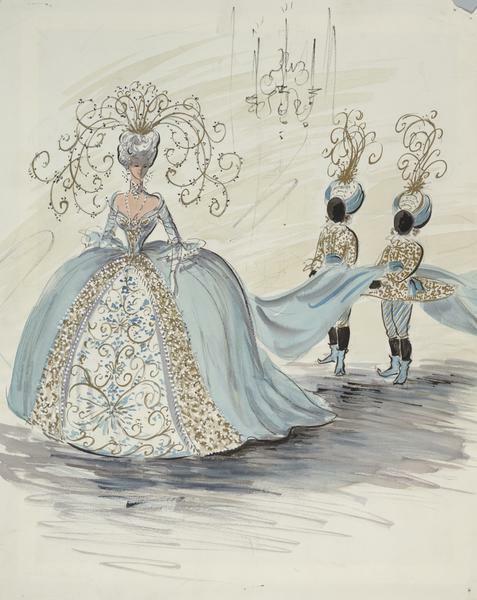 Edith Head‘s costume designs! Gorgeous shots of the French Riviera! It’s a fun, entertaining movie about two Americans trying to catch a cat burglar in the south of France. 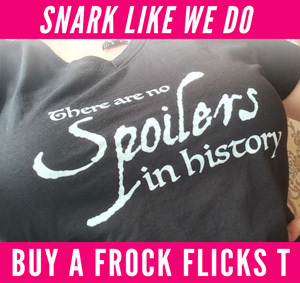 And yes, it’s a contemporary movie, set in the period it was filmed. 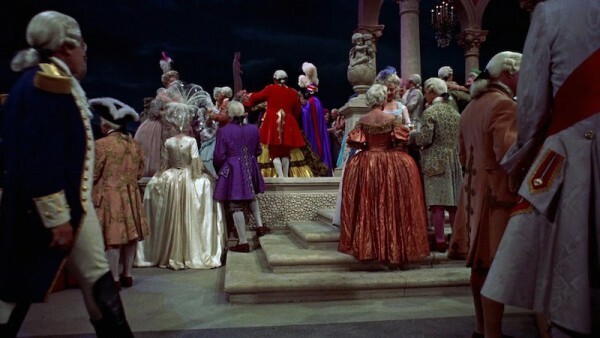 But near the end of the film, there’s an extended sequence set at a masquerade ball (during which the thief is expected to strike again), and suddenly we’re in crazy 1950s-does-18th-century land! 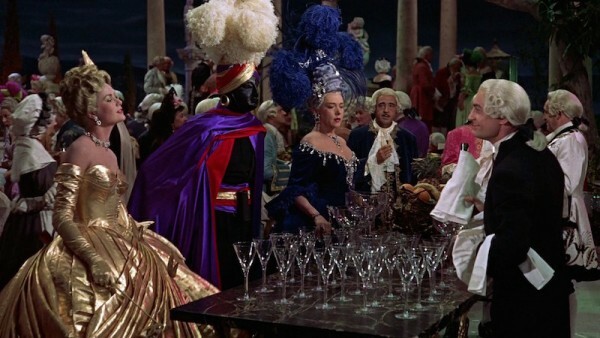 Let’s take a look at all the technicolor glory of the masquerade scenes, and admire Edith Head’s amazing designs! 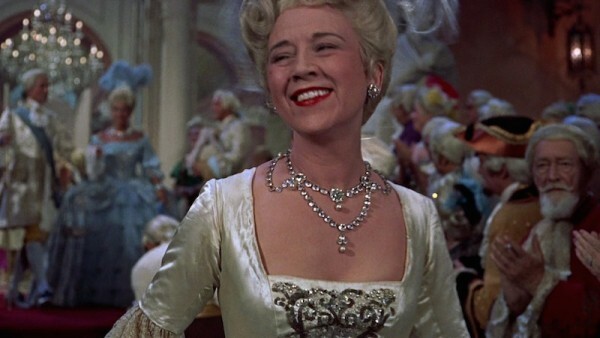 Gotta start with our leading lady, Frances Stevens (Grace Kelly). 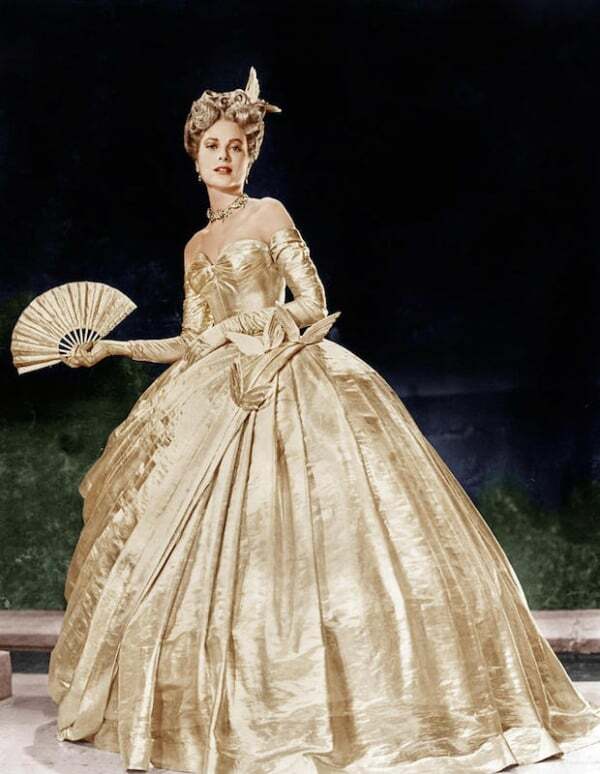 She’s in the most 1950s-influenced outfit — all gold lame, strapless, sweetheart neckline, with a HUGE skirt. 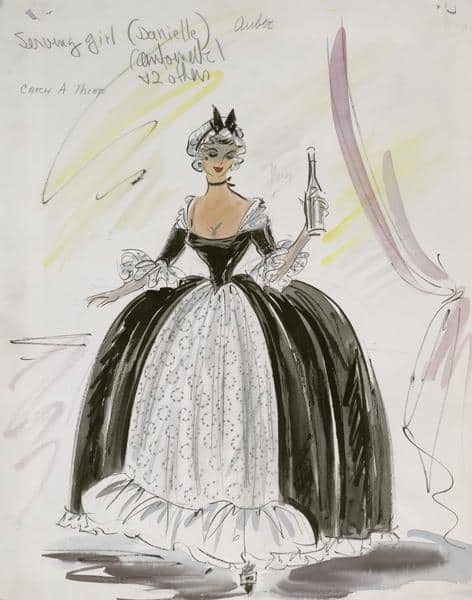 Here’s Edith Head’s design for the dress, in which you can see that those sleeves are actually elbow-length. 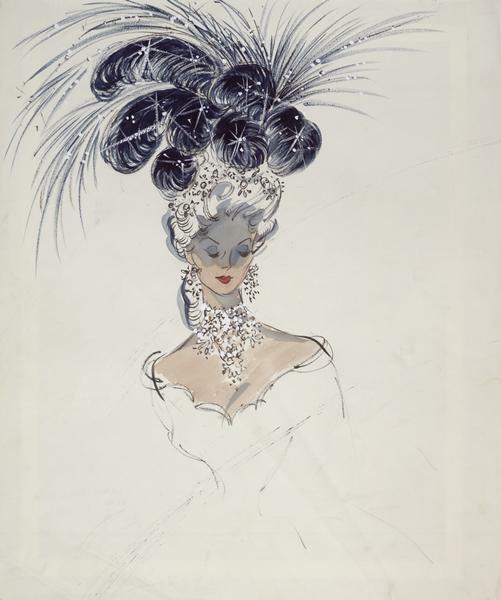 Apparently she was originally going to wear huge feathers and a mask, but I don’t believe either are seen on screen. 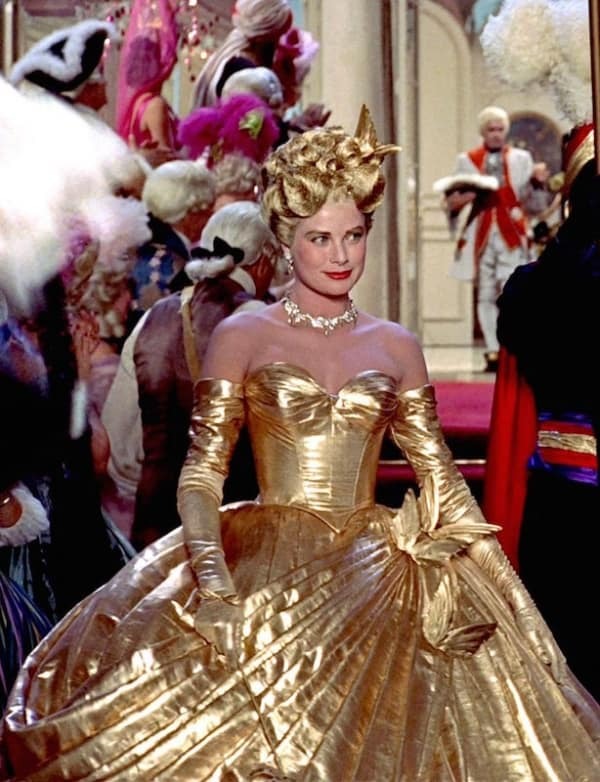 She’s got over-the-elbow gold gloves, sculptural gold hair, and gold birds strategically placed. The back goes WAY low, and laces shut with a pretty wide lacing gap. Here you can see those sleeves, which ARE attached at the underside of the armscye. 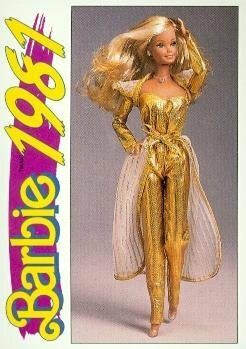 I just can’t help but think of my Golden Dreams Barbie c. 1983 when I look at that lame! I love how the morning after, she’s lost her wig and her hair is in perfect 1950s waves. 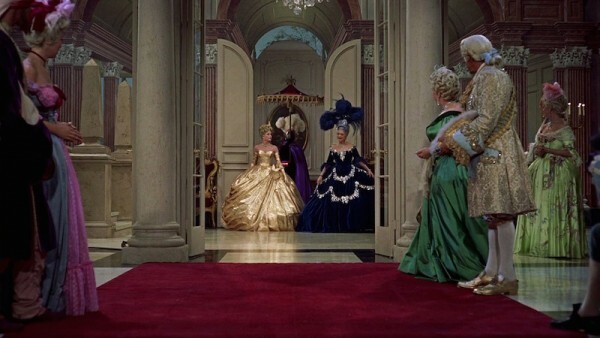 There’s an extended sequence where various characters and extras make grand entrances. 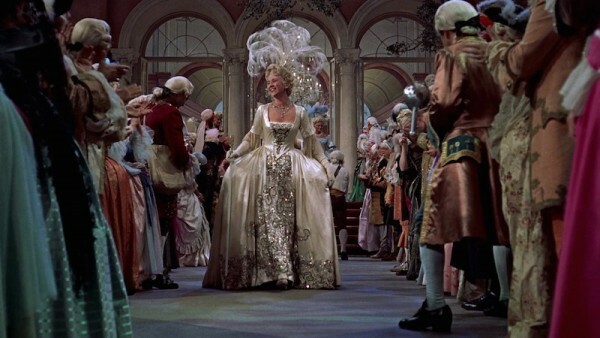 This dress is relatively 18th-century appropriate, minus the curved bustline. 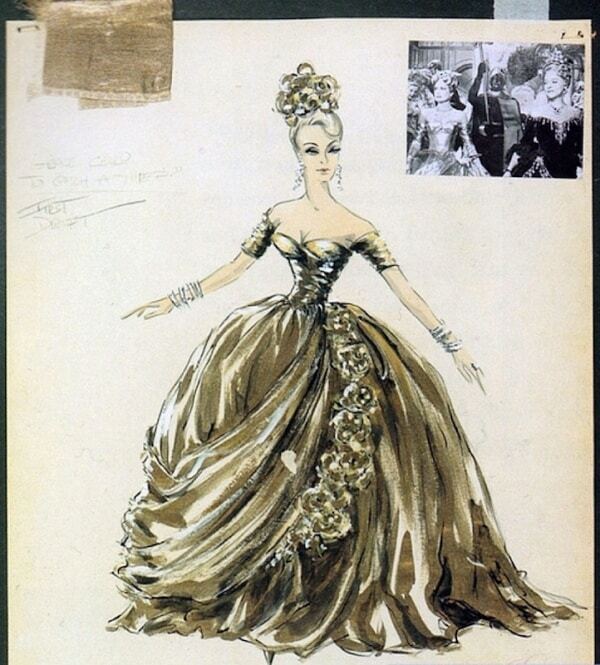 I THINK this is the original design? 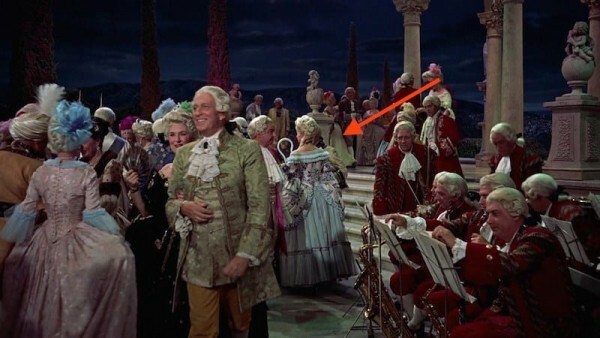 Note black children as attendants — racism! How quaint! 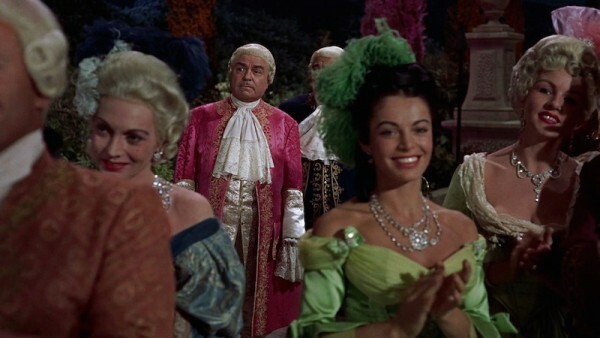 Love the onlooker in green, just because that bright acid shade is SO 20th century and Technicolor! Here it is from the back. 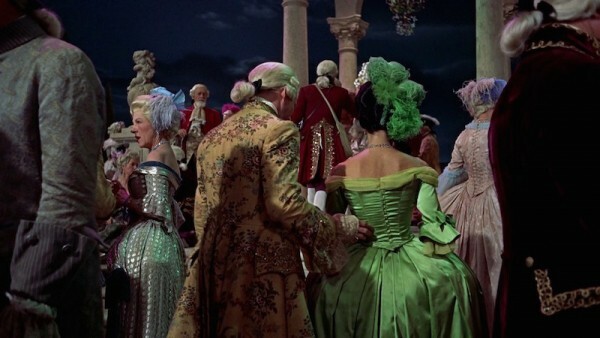 Pretty much everyone has a fitted, back-closing bodice — they were clearly going for French court gowns rather than any other 18th-century style. I love the color combo of green with pink on this rando. More onlookers. LOVE the lady who’s kept her cats-eye glasses and cigarette! 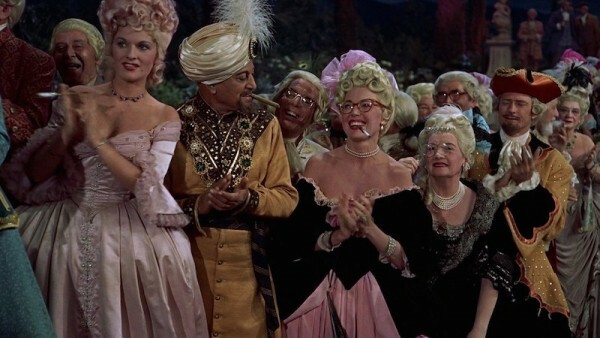 The biddy to her right is holding a more period-appropriate lorgnette. 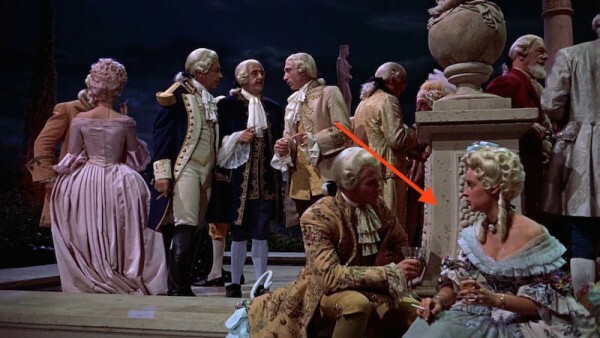 Not that anyone is worried about being historically accurate here. The center couple are the hosts. 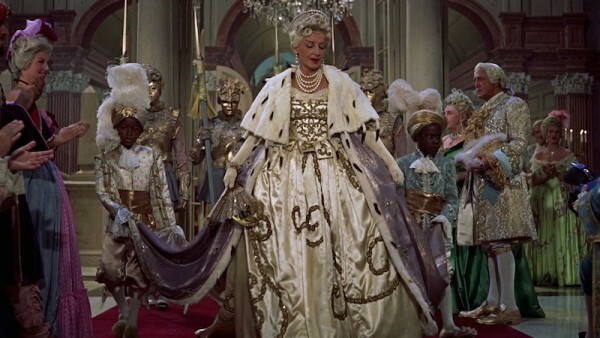 She seems to be channeling Catherine the Great, don’t you think? 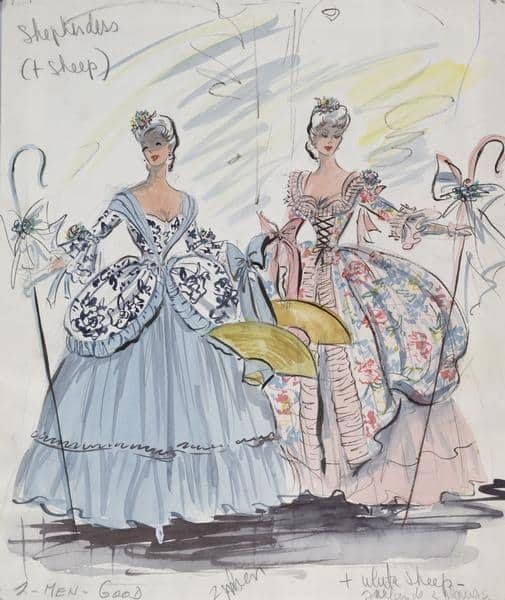 But those sleeves just look 1830s to me! Check out Mr. Pink (sorry, can’t remember the character’s name)! She’s going full shower curtain! It’s very Gone With the Wind, isn’t it? Ah yes, more silent black servants! LOVE THE TAN contrasted with the blond hair and the powder blue. Not a good look. So much that’s entertaining, including pink (is that supposed to be a Russian kokoshnik hat?) and Little Biddy Peep in front. She brought the dogs as accessories! Wait, they let REAL people of color in here? SO glad they’re rocking the “exoticized” look rather than the same style of costumes as everyone else. 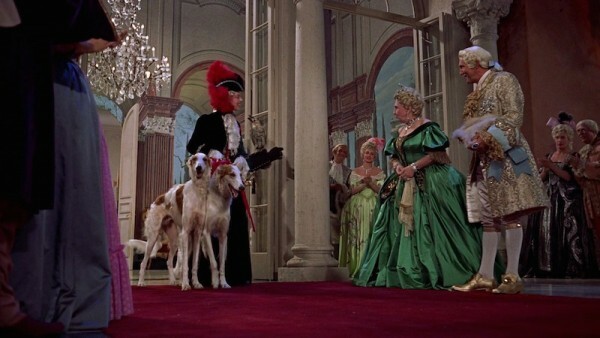 Ah yes, who doesn’t want to wear their shepherdess outfit, complete with crook, to the ball? I’m pretty sure her compatriot in blue is in the bottom right. 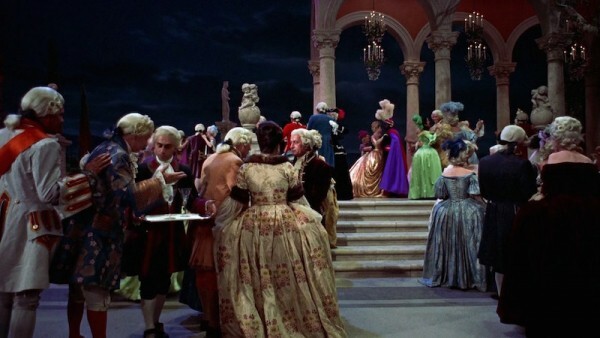 And from the back, with inaccurate-to-18th-century split in the skirt in back too. 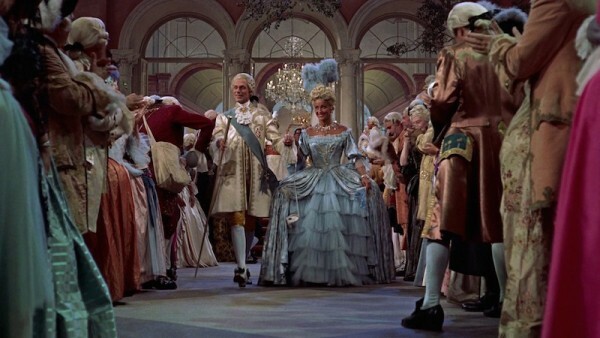 Another Catherine the Great type. This time they went for it with the black servants, which is just so wrong on so many levels. 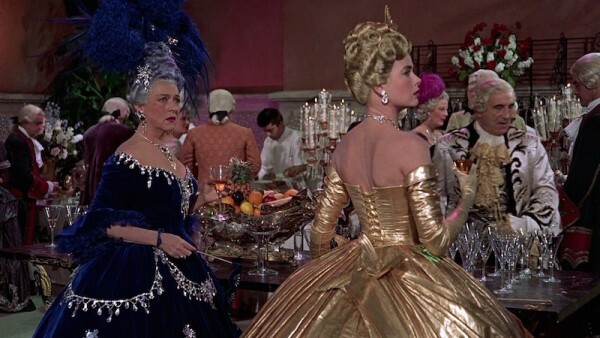 Finally, Frances/Grace shows up with her mother Jessie (Jessie Royce Landis). 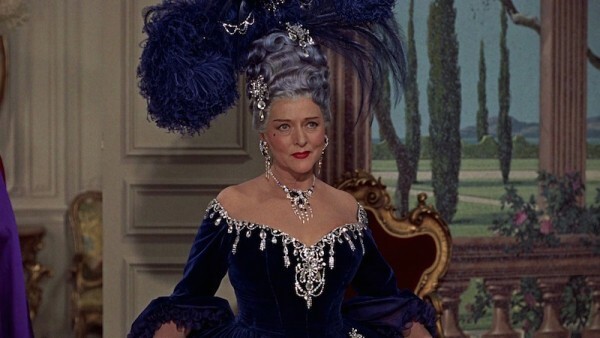 Mom is in blue velvet with a huge blue wig and allllll the feathers! Their silent attendant may be wearing a mask, but this REEKS of blackface, which is never okay. 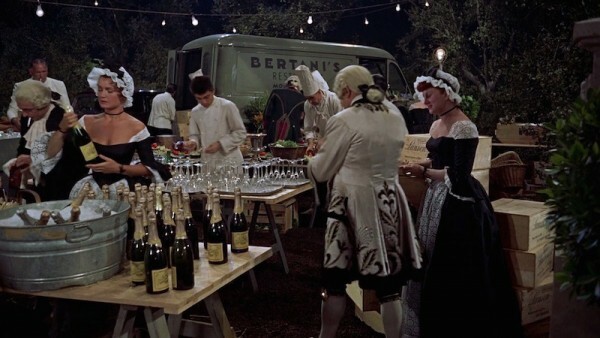 Even the staff is costumed, and I love the behind-the-scenes shot with the van parked in the background. 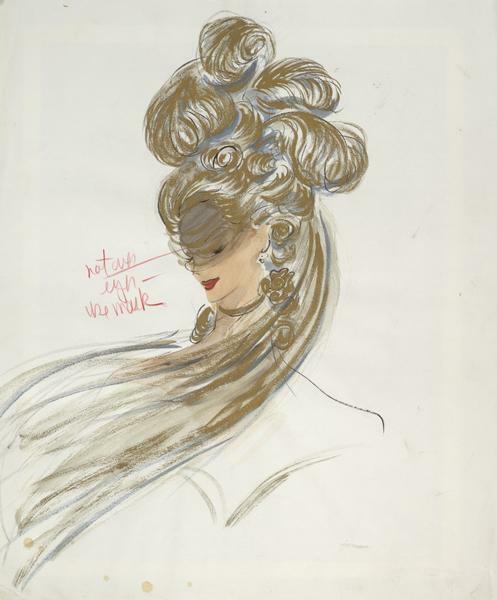 The design for the waitresses. Just a few more extras. 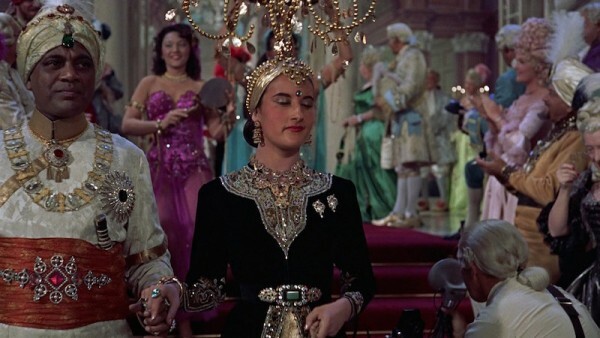 What’s your favorite over-the-top look from To Catch a Thief‘s masquerade scene? 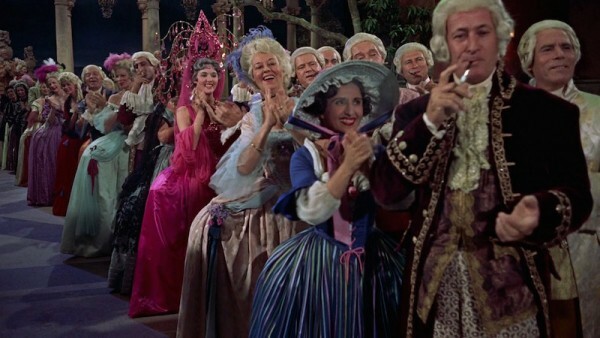 I love how everyone smokes like crazy… surprised no one took fire with all the polyester around. 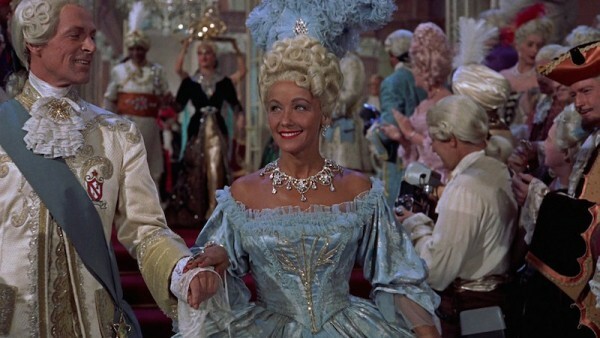 I think the blackface with Grace is actually Cary Grant. 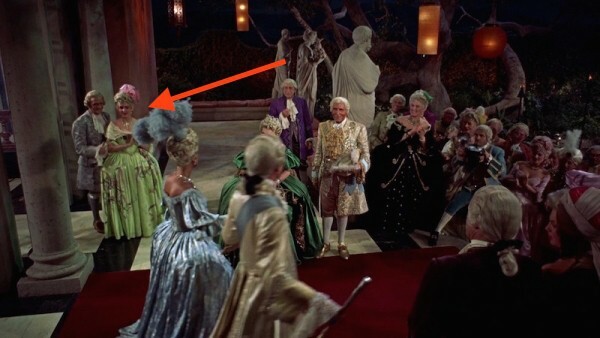 Oh, and I’m not that much into gold lamé and think Mom’s costume is better: She’s rocking that blue velvet and I WANT THAT WIG! 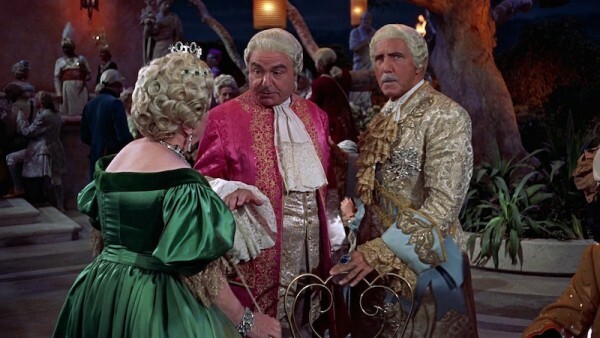 Seriously, all that smoking around all that satin just makes me cringe. 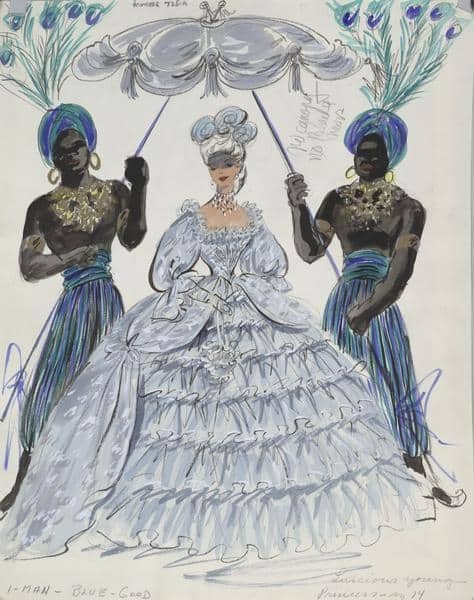 I wonder if all the costumes came away from that production with random cigarette burns? 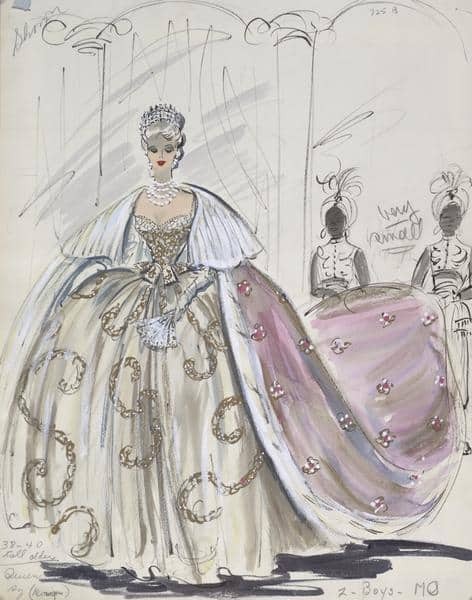 I wonder if there would have been all that much polyester fabric around in 1955. Polyester drip dry shirts for everyday wear, sure. Don’t know what the cheapo costume fabric of choice would have been. Anybody know? More likely rayon than polyester in 1955. Poly hadn’t become omnipresent yet. HA! How did I miss that? It looks to me like the Indian couple are wearing fanciful 18th century Indian clothes, as an homage to their own culture. 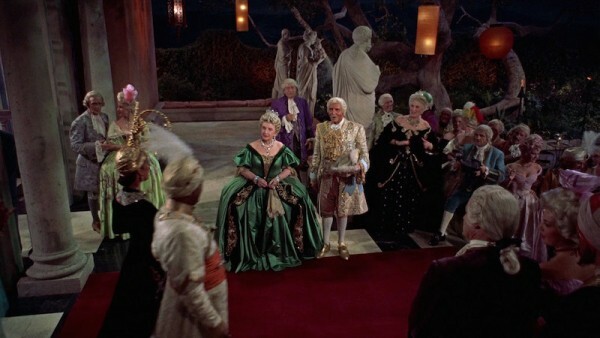 That brocade on the center figure in the next-to-last shot looks . 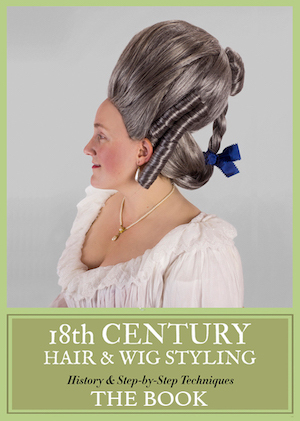 . . almost right for the mid-1700s. I’d love to see the dress close up. 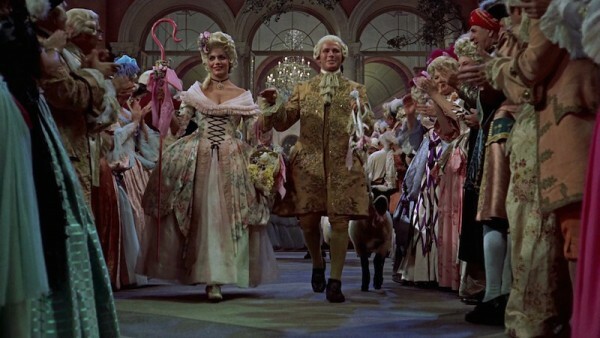 wonderful movie and wonderful costumes. 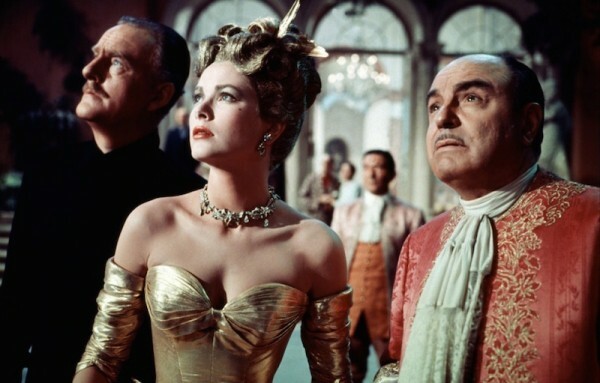 Grace Kelly is the most beautiful woman ever seen at the cinema. 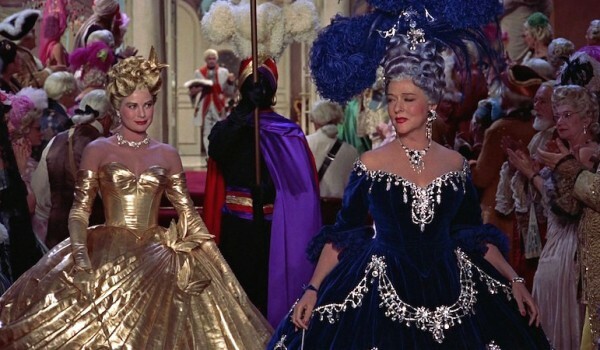 Good costumes, I like all of them, especially the one of Princess Kelly and the one of her mother.